Hauganes is a small village (approx. 120 inhabitants) in the center of Eyjafjordur bay. Fishing has been the main occupation for the villagers for centuries and tourism is increasing every year. The people of Hauganes are mostly descendants of families who have lived there for a long time and many people can trance their roots back for centuries. Hauganes is a charming and peaceful village. There are no stores or shops in the village, not even gasoline, but the most renowned salted fish (bacalao) producer in Iceland, Ektafiskur, is our closest neighbor down by the harbor. We sometimes knock on their doors to see what they’re up to. 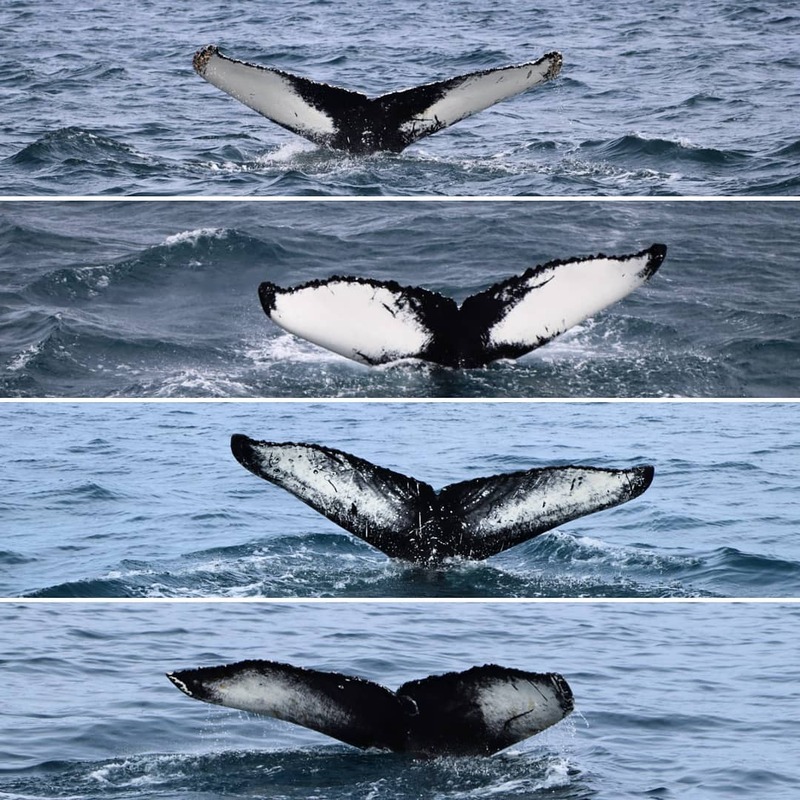 Wild life is similar to other places in Iceland; you can also catch fish from the harbor and take a walk on the black beaches. 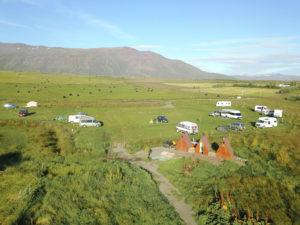 Other leisure activities include hiking in the valley or a walk to Árskógssandur village, approx. 5km walk. In Hauganes you will also find Camping Hauganes where you will have access to toilets and electricity. 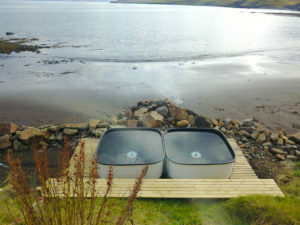 Down by the beach you will find two hot tubs with the most beautiful view to the south! Definitely something you should not miss during your stay here. 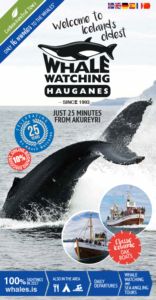 Hauganes is mid way between Akureyri and Dalvik in North Iceland. We welcome you to our little village.